There are those times when you have a vision of what you think your home should look like. It’s in your head, but you aren’t sure if you can actually make it happen. 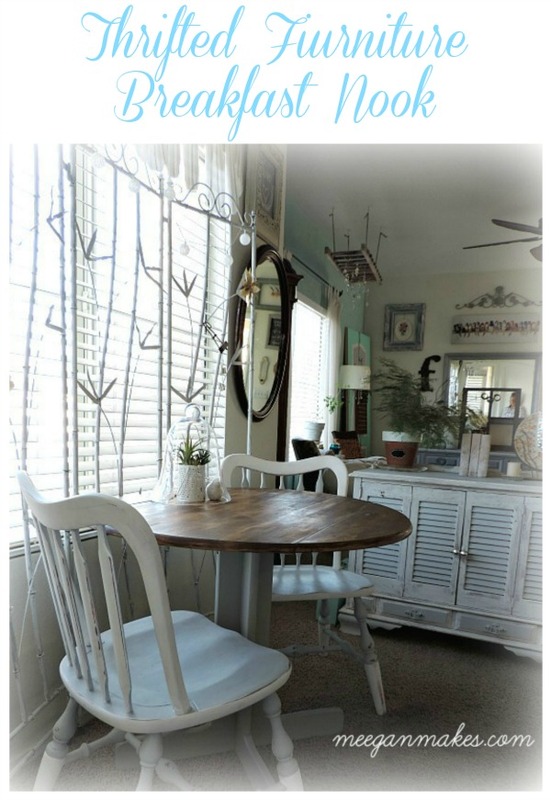 That is how I designed our Breakfast Nook with Thrifted Furniture. 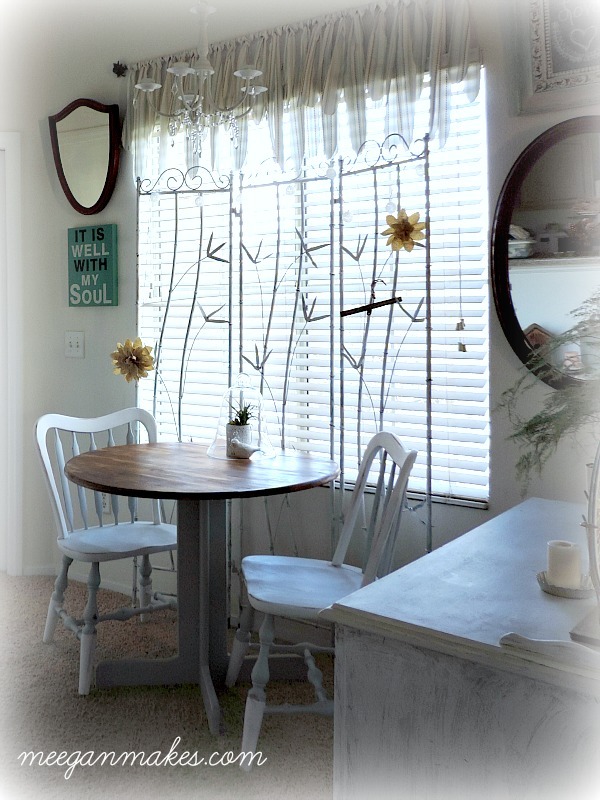 I worked and fiddled with the space until we finally have an official Breakfast Nook with Thrifted Furniture. 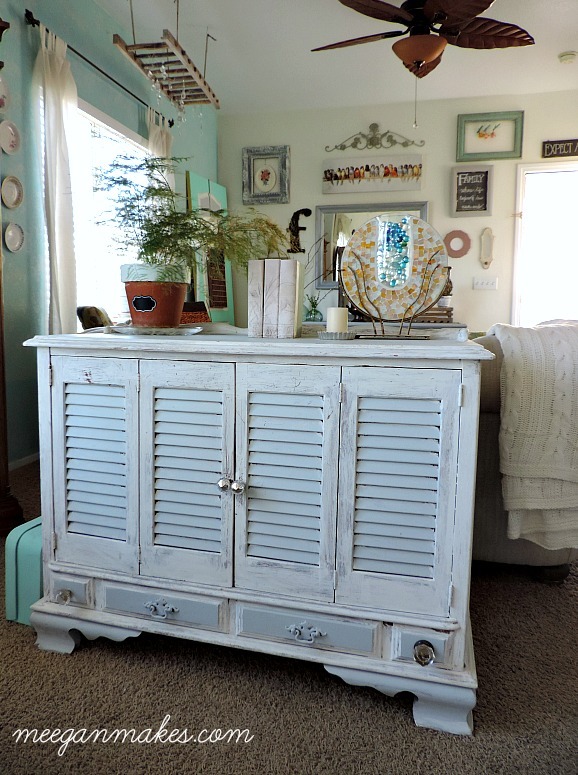 It basically started when I bought my thrifted buffet a few years ago. It was tattered and filthy. But with a few coats of paint and some TLC, it fits right into our home. New we needed a table and chairs. Nothing too big because this space is barely 9 feet wide. We found the chairs at an auction for $10 a piece. 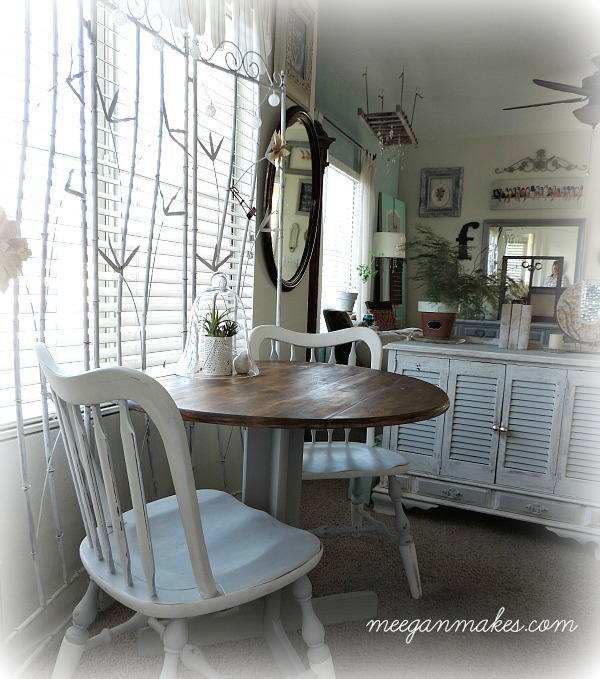 I used chalk paint to create a softer look for the room. 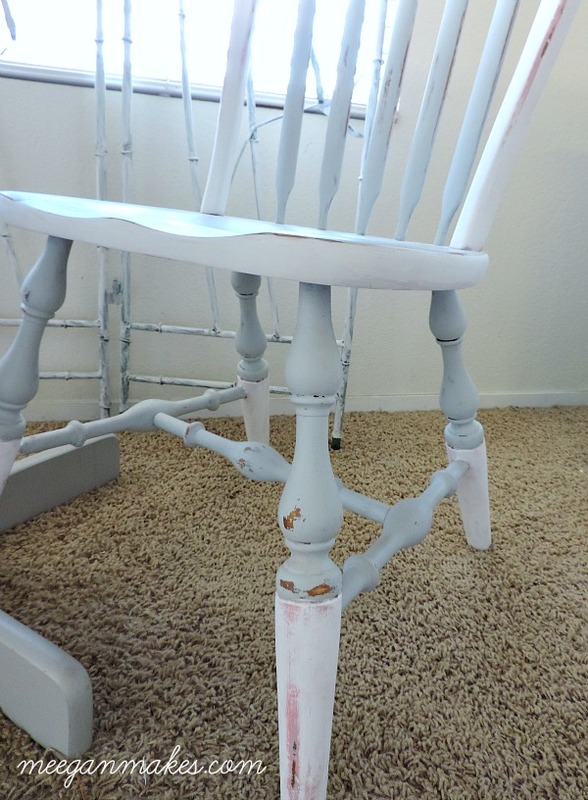 I first tried painting them with an antique coral and gray. But, now they are a soft white with gray accents. I really like the fact that my previous colors come through the sanded areas. The table was another thrift store find. And at 10 bucks, I couldn’t go wrong. 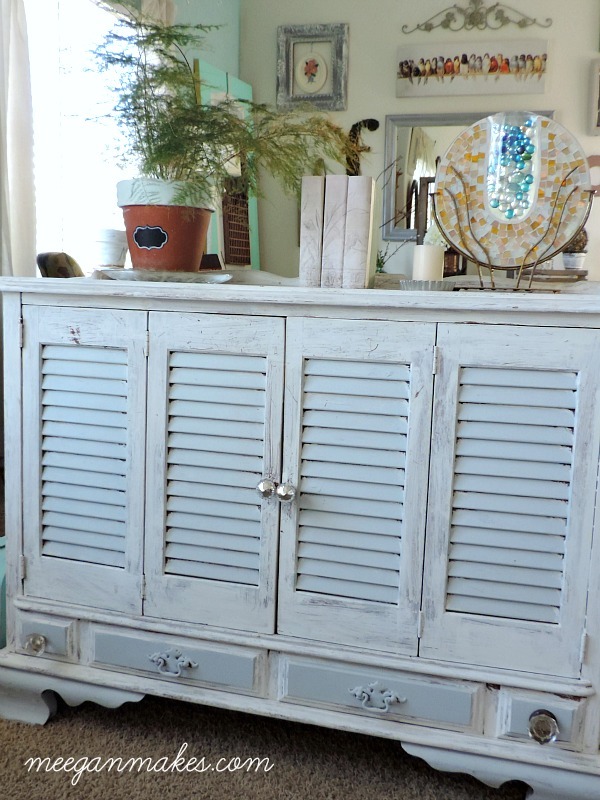 It is EXACTLY the style I wanted, but it is ideal for the space and my Breakfast Nook with Thrifted Furniture. The screen was purchased about 20 years ago. It was a sort of sage green with forest green tips. Not what I really wanted for this space. So I painted it with primer. Yep, that’s it. I like the look and feel that it adds in from of the window. 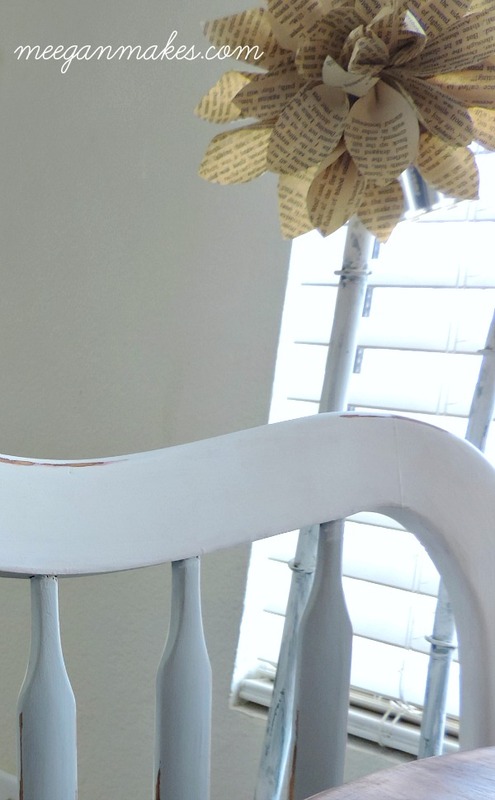 I also hung my book page flowers on the screen just for variety. Even the mirrors on each side of the window are thrift finds, too. Yes, you guessed right. 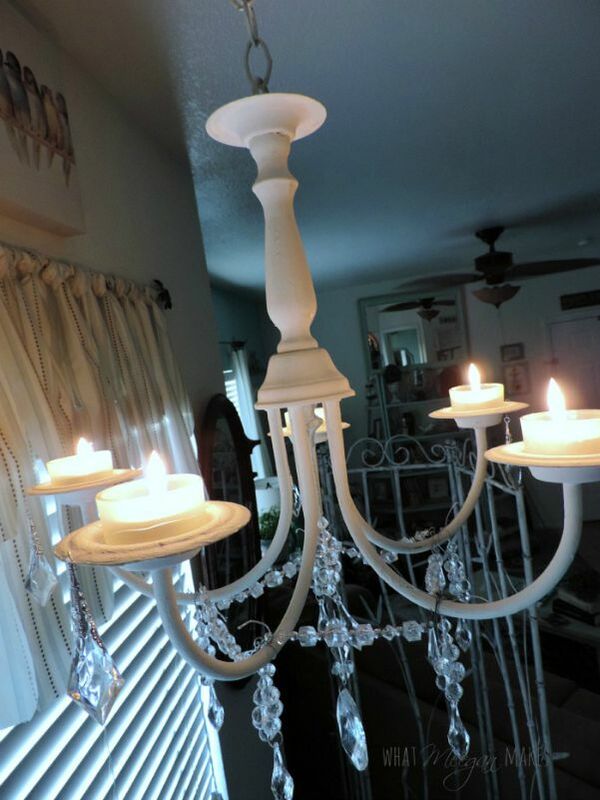 Even the chandy hanging above the table was a thrifted piece, as well. So for not really knowing how to work with this space, five years later we have a beautiful Breakfast Nook Styled with Thrifted Furniture. Thanks for joining me today. It is always fun to have you here. Beautiful job! I love how all the pieces came together – they look amazing! It looks so warm and cozy, I love it! 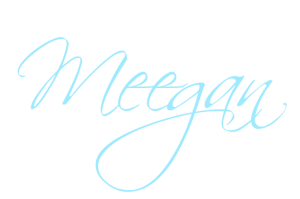 Really sweet spot to enjoy, Meegan! I love your screen in front of your window… what a special touch! Thanks so much for stopping by, Donna. I really appreciate your comments. You made my day. 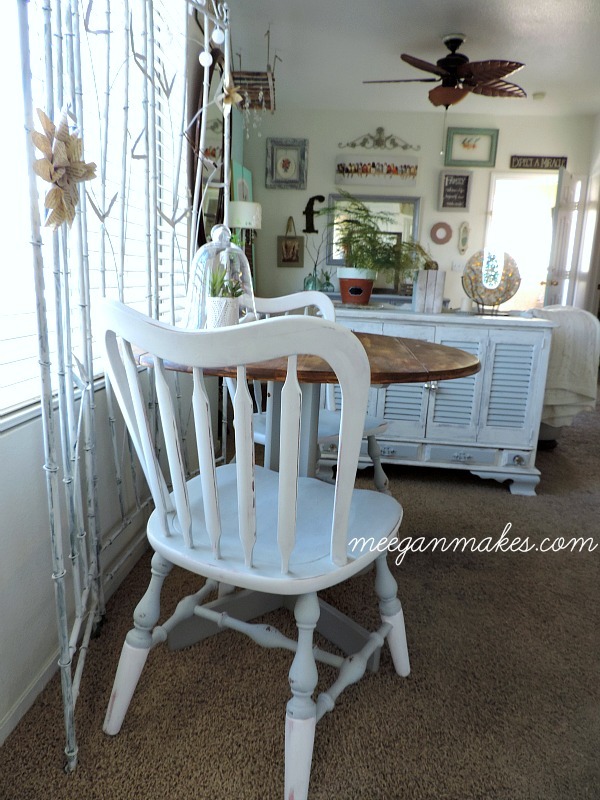 Gorgeous shabby cottage nook Meegan… and even better when you know it is full of thrifted treasures and handpainted projects. Thank you for sharing this post at Shabbilicious Friday this week. I’m delighted to be featuring your breakfast nook at tomorrow’s party. Oh, my goodness! Thank you so much for the feature. I really appreciate it. 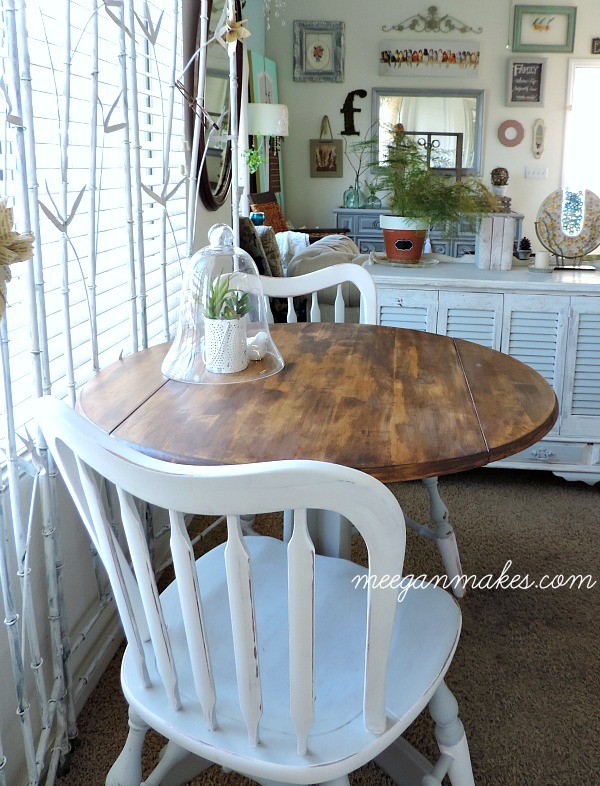 I adore your breakfast nook…so charming! !